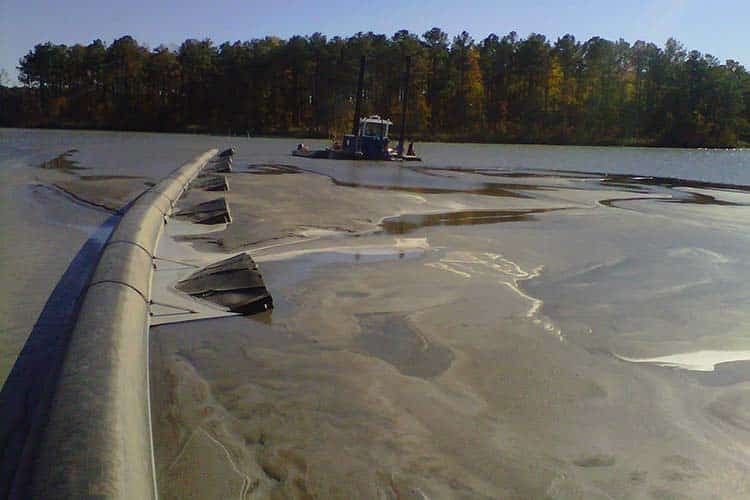 We are experienced in all types of dredging: sand, gravel, sludge and ash in various rivers, channels, ponds and lakes at pulp and paper mills industrial plants, marinas and mining corporations. We are ready to mobilize. We own and transport all of our equipment. Our employees are trained thru (MSHA) Mine Safety and Health Administration annually. Carter Dredging is a drug free company. 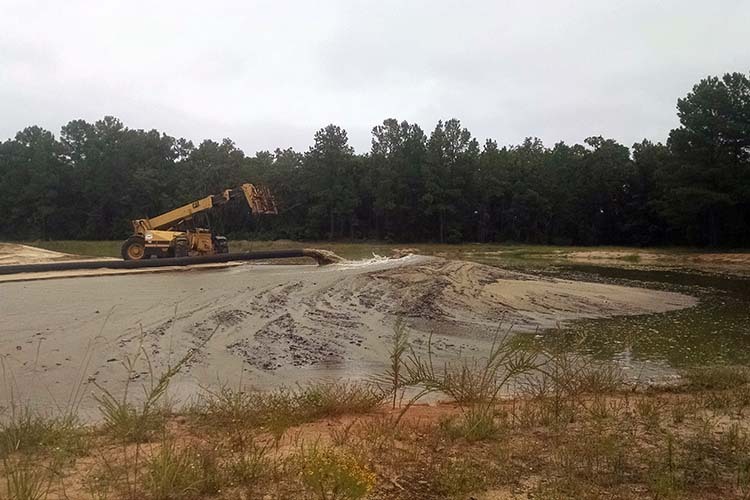 Removal of settled ash material from a coal ash pond at a power plant is accomplished by dredging – either through wet dredging or through excavation. 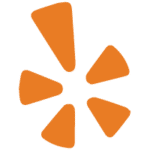 Polythlene pipe is a very efficient means for transferring material. This pipe comes in various sizes and can be assembled quickly. 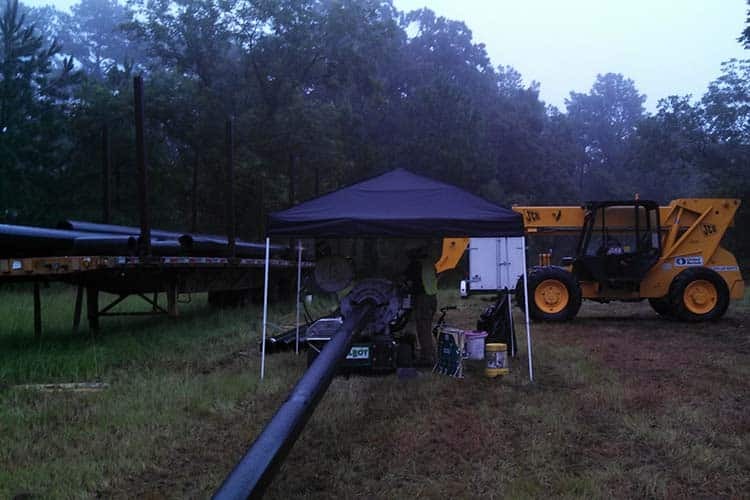 We have several thousand feet of pipe on hand. Ensuring proper depths for water vessels is a routine necessity in waterways around the world because sedimentation gradually fills channels and harbors. 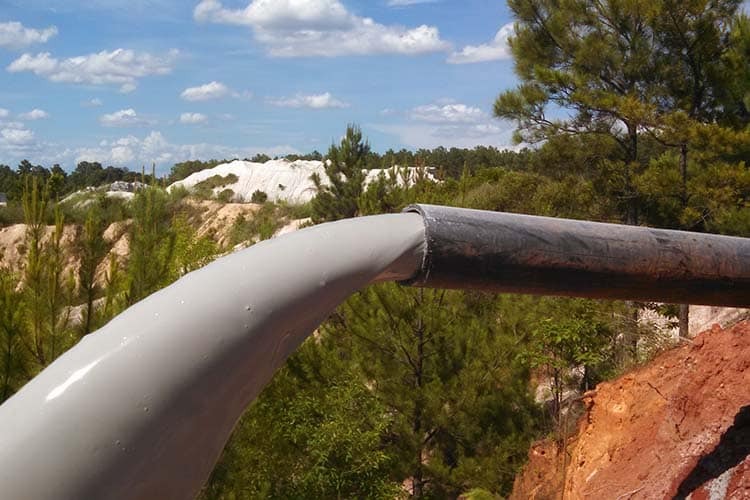 A 12″ Discharge pipe from a dredge is capable of transferring up to 350 cubic yards of sand per hour. 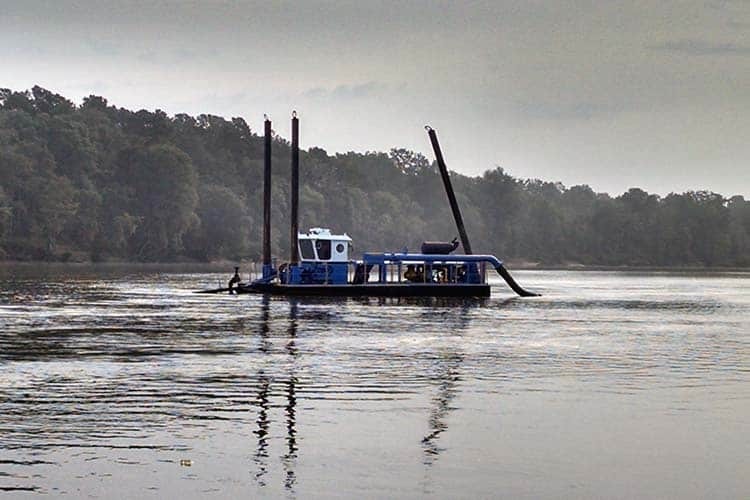 Excavating sand and sediment is the primary function of dredging. 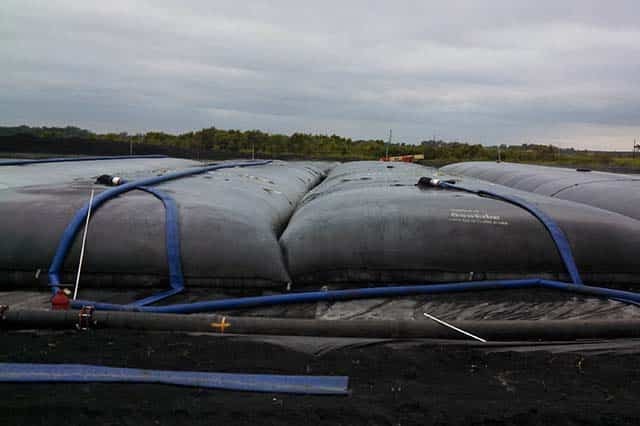 These bags are constructed in several weaves that allows the maximum containment of your material while disbursing maximum flow of filtered water. Our dredges can remove up to 300 cubic yards of waste per hour. 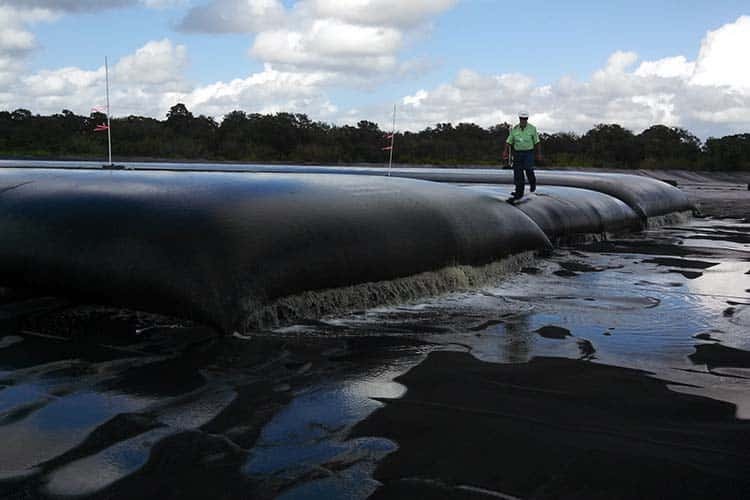 Many wastewater lagoons suffer from excess sludge building up. It can be a constant challenge to remove the sludge. 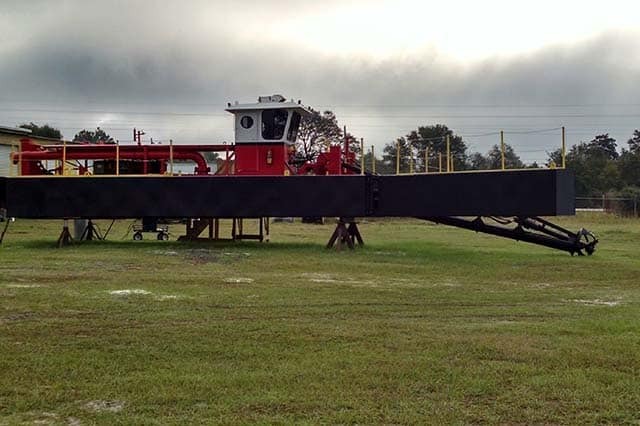 Located in Southeast Georgia Carter Dredging II, Inc. is an independently owned business established in August of 1970. We specialize in waterborne problems by use of Cutter-Suction Dredges. Our commitment to quality, customer service, and timely job completion is our promise to our customers. All employees working on a dredge have successfully completed the basic dredge operator training program through Dredging Supply Company. Inc.
A commitment to quality and customer satisfaction. No job is too big or too small; we have the tools. 46 Years’ experience in dredging & excavating. Our patented process suppresses foam. 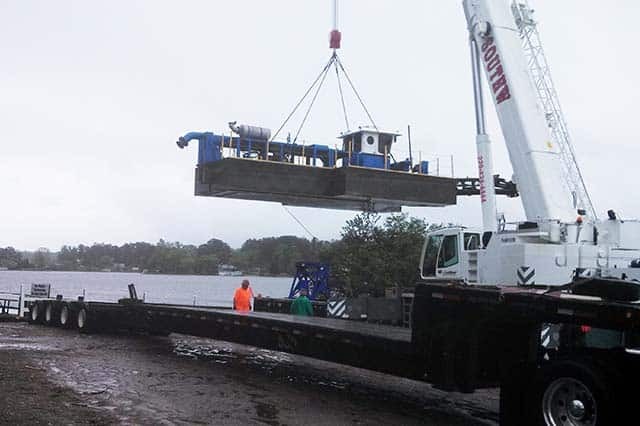 Our primary service is dredging and the aspects of dredging, but is not limited to this alone. The company’s founder, Festus A. Carter, was awarded a U.S. Patent in 1981 for the invention and design of a machine (in barge form) to suppress foam on detergent-contaminated bodies of water. 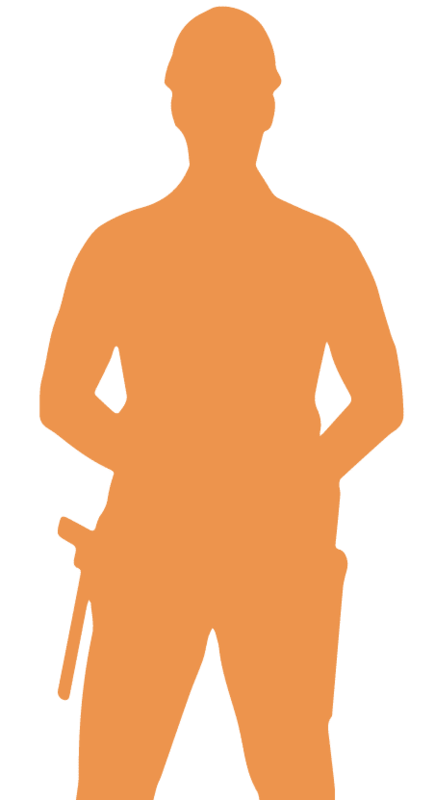 Our employees are trained thru Mine Safety and Health Administration (MSHA) annually. Carter Dredging is a drug free company. 1 Sand and silt washes downstream and from coastal shorelines. This material gradually collects in the basin of channels and harbors. As the sediment increases, it becomes difficult for passenger liners and cargo ships to maneuver. The sediment requires dredging. 2Periodic maintenance (dredging, deepening and widening) of harbors and channels is necessary to continue accommodating commercial and private vessels. 3Dredging is also employed to reduce the exposure of fish and wildlife to contaminants and pollutants produced by industrial areas.